Home > News & Insights > Blog > Public Speaking – Where to Start? When preparing a speech, where do you start if not with the message? So there I was, giving a cheery masterclass in public speaking and presenting to international officials from different parts of the wide UN family. And I made an early fateful mistake. Our intrepid course participant did not like this one bit. He spent the rest of the day reflecting on the comment and how he could apply it to his work. So, question. Where do you start if not with the message? What’s wrong with starting with the message anyway? When a spider makes a web, how to start? 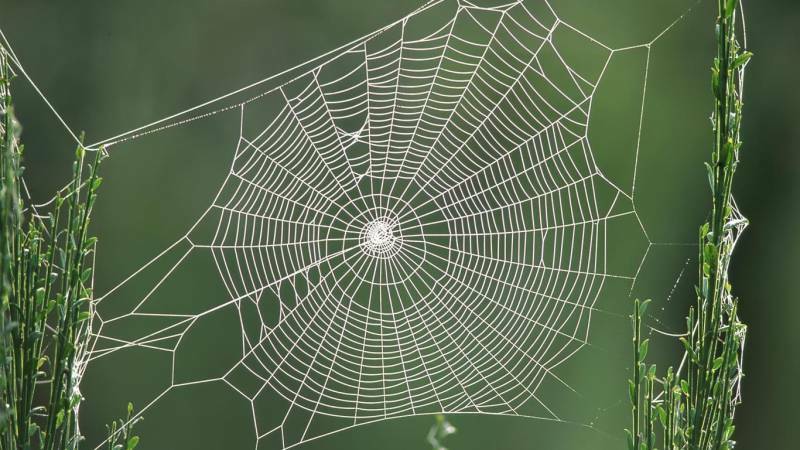 By setting up a supporting line that creates the space within which the web can be built. Imagine that your speech is that final web – intricate, flawless, balanced, generally awesome. You can’t start in the middle. You first need the overall framework to shape the production so that you can then add layers of harmonious detail. So in a way it does not matter where exactly you start! The spider shoots out the first line hoping to catch it on something that is good enough, given the space available. The precise shape emerges from where that first line and other ‘structural’ lines end up. Thus your ‘message’ has to emerge from the shape. Your message is (to change metaphors) like a bullet. The bullet is fine as bullets go. But it’s bad to shoot it at (or inadvertently hit) the wrong target. So you invest time in identifying the target and exploring the wider conditions to get everything just right. In other words, when preparing your speech or presentation, be like a spider. Think about the Big Picture. What’s going on here? What shape of speech might work given this audience, this room, this context and this available time? What do you want them to hear? What do you want them to learn, remember and feel? What unexpected images or metaphors might help convey it? Amb. Charles Crawford is one of our speakers, working in our online programme on Speech-writing (LINK) and in our Emerging Leaders Experience (LINK).